President Trump spent the first 10 minutes of his first official meeting with congressional leaders talking about the “huge crowd” at his inauguration, rehashing the presidential campaign, and repeating a claim that has been debunked multiple times — that he lost the popular vote by a wide margin because of millions of illegal votes cast against him, several people who attended the closed-door meeting said Monday night. 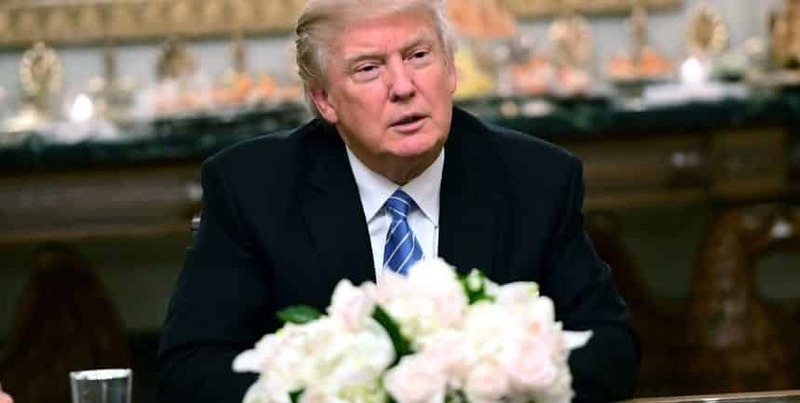 As they dined on meatballs and shrimp cocktail in the White House State Dining Room, Trump falsely asserted that between 3 million and 5 million illegal ballots cost him the popular vote, participants told The New York Times and The Washington Post. Trump lost the popular vote to Hillary Clinton by nearly 3 million votes, but won 304 electoral votes, and thus the presidency. This entry was posted on January 24th 2017 at 8:59am/08:59 and is filed under Elections, Live News Column 2, Politics. You can follow any responses to this entry through the RSS 2.0 feed.